AUD/NZD longs are pulling the plug and have been doing so since breaking the first key support line mid-Feb at 1.0434. 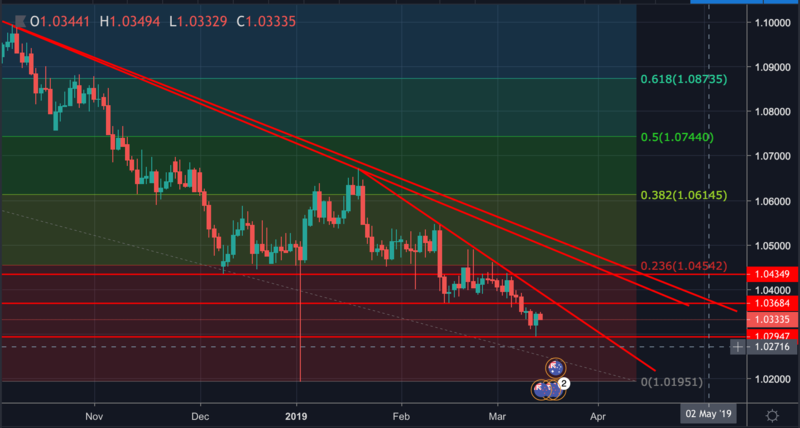 AUD/NZD has taken a bearish turn and the trend lines have tracked the lower highs, putting the 1.03 handle under pressure. Bulls need to get back above the 23.6% Fibo at 1.0454 to alleviate immediate pressure and above the 38.2% at 1.0450. The key upside target is the 50% Fibo in the 1.0740s.